Please scroll down the page to view all Tuning Hammers. All of our Schaff-Hale Tuning Hammers are made in the USA, and accurately machined from the finest alloy steels. Schaff parts and tools have been the choice of 'Professional Piano Technicians' since 1884. ** There are much less expensive 'bargain tuning hammers' on the market, however, there's an old saying, "you only get what you pay for". The horror stories we hear of ruined tuning pins or tuning levers that come apart or bend, will just end up costing you more in repairs. So why not start with "The Best".....'Schaff' - You'll be glad you did. The Schaff #7 Student & #S-8 Craftsman Levers are ideal for the Apprentice Tuner. 6" Long with a lacquered wood handle, it has a smooth tapered feel. Schaff Tuning Levers with one-piece, non removable head. These hammers are recommended for sweetening strings in between regular piano tunings. Comes with 6-1/2" wood handle & nickel plated shaft with tuning tip. Overall length 12"
(The 5B tuning hammer is only used on tuning pins that are square all the way down the sides.) If your tuning pins are square on top but tapered down the sides, you require the Star Head #5A). These Tuning Levers are similar in quality to our Schaff Hale Extension Tuning Levers except the stainless steel shaft is stationary. Many technicians like the feel of the nylon handle as an alternative to wood. This tuning hammer has an 8" nylon handle with a chrome plated steel shaft. Designed for the technician who wants to be as near to the tuning pin as possible. This stainless steel hexagonal style extension lever is equipped with a 4" handle. Overall length is 7", which can be extended to 10" long. Weighs only 11 ounces. Comes with No. 13G head and No. 14B #2 star tip. 'The Technician's Choice' is this finest extension tuning hammer made by Schaff. Nylon handle for a better grip. The handle measures 9" with an overall length of 12". It has a chrome plated, steel hexagon shaft that allows for an extension of 5". It comes with #2 star Tip and weighs 17 ounces. Nylon Handle 7" long with an overall length of 10" which can be extended to 15". Weight - 14 ounces and comes with a #2 star tip. The finest "T" tuning lever available. Made of tough alloy steel that is nickel plated to withstand the hardest factory use. New style lever has a 5" wood handle, and an overall length of 6". - Square Tip. This Rosewood handle is only 6" long. Overall length is 10" which can be extended to 14-1/2". Lever weighs 16 oz and comes with the #13G Head, a #2 Star Tip and a stainless steel hexagon shaft and collar. Schaff was the first company to introduce a Rosewood Tuning Lever to the industry. This model includes an 8-1/2" Rosewood handle and a stainless steel collar with a non-slip hexagonal shaft. Weighs 18 ounces and is perfectly balanced. Overall length is 11-1/2" with a possible 6-1/2" extension. This tuning lever is modeled after the Yamaha type in design appearance. 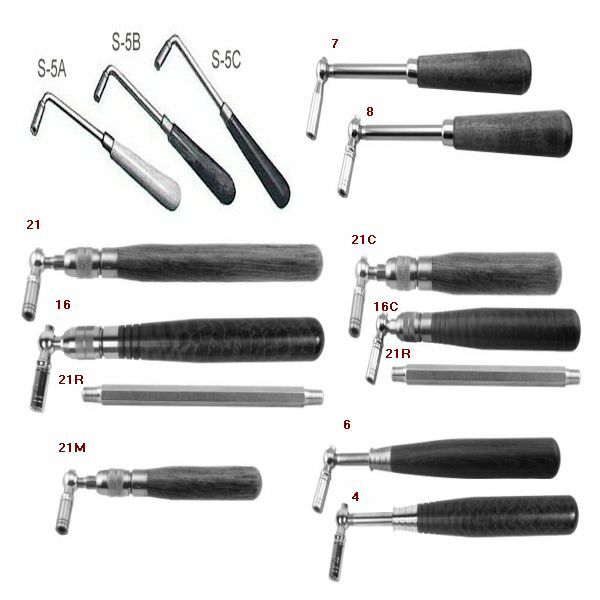 I happened to find another tuning lever: S-18 Schaff Factory Tuning Lever - $65.25 from this site. I found this one has little longer lever (13"). I finished one round of tuning and it worked very well. The tool is solid, providing good communion with the pins. Also, the handle is big enough so that my hand had no pressure point to struggle with. The customer service was very professional. I recently placed an order for Balance Rail Punchings and a Schaff - Hale Piano Tuning Hammer / Tuning Lever. I received the product in a timely manner and each worked as expected. I would not only order from Piano Showcase - www.vandaking.com again, but I would also recommend them to friends and acquaintances. It was a pleasure doing business with Piano Showcase Online. The tool I ordered worked perfectly,was of quality workmanship and the customer service excellent. I would do business with them again. I studied piano tuning and regulation 50+ years ago at Northwestern and am finally getting back to it now that I have officially retired. They were very helpful and delivered quickly.